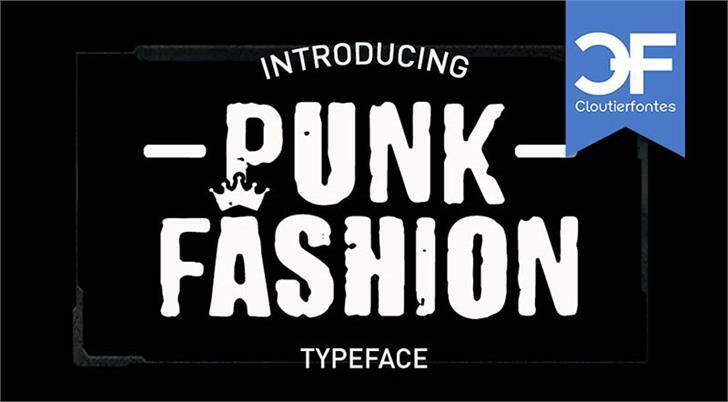 CF Punk Fashion PERSONAL Regular is a font by Cloutierfontes, designed by Steve Cloutier in 2019. Copyright (c) 2019 by Cloutierfontes. All rights reserved. This version is for Personal Use. For commercial use, buy the commercial version on my web page. Thank you ! CF Punk Fashion PERSONAL is a trademark of Cloutierfontes.